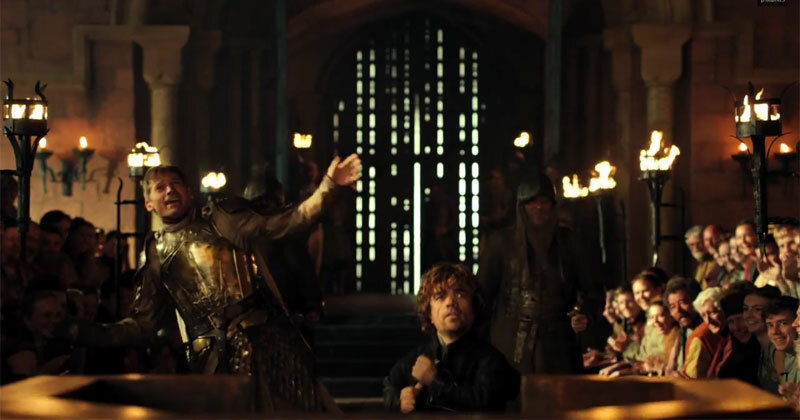 Further proof that Peter Dinklage is the best :) Always love these blooper reels and Season 5 can’t come soon enough! The video was unveiled yesterday during Comic-Con in San Diego. The newest cast members were also announced and include: Alexander Siddig as Doran Martell; Enzo Cilenti as Yezzan; Toby Sebastian as Trystane Martell; Rosabell Laurenti Sellers as Tyene Sand; Nell Tiger Free as Myrcella Baratheon; DeObia Oparei as Areo Hotah; Jonathan Pryce as the High Sparrow; Jessica Henwick as Nymeria (“Nym”) Sand and Keisha Castle-Hughes as Obara Sand. You can see the new cast announcement video here.